Barrel + Ink is where wine meets design. Located in San Francisco Barrel + Ink is collaboration between local and international winemakers and designers creating non-traditional labels. Their limited edition wines are made in small batches of only 250 cases per release. They sell most of their wine online on their website striving to elevate the wine buying experience by allowing customers a behind the scenes look at both winemaker and design. Their bottles stand out as innovative and artistic. They've worked with artists like local, Jessica Hische, know for creating the eye catching Love postage stamp, as well as for designing countless book covers and even working with Wes Anderson. We love the idea of learning more about individual wine makers and celebrating artists so we decided to invite Barrel + Ink to gather. Founder and CEO Corey Miller will be joining us in the shop on Thursday November 17th at 7p for our first ever wine workshop. We decided to make this class a wine tasting class for beginners and the intensely curious. 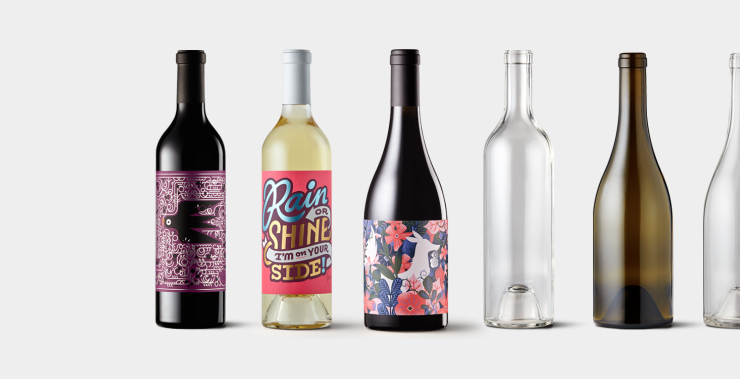 Barrel + Ink targets the wine lover who might be intimated by his lack of viticulture knowledge but drawn to the ideas of using wine as a way to connect with people. Corey has an interesting perspective when it comes to wine as he has a passion for the science behind the making of it and has built a business from the ground up. His knowledge of wine makes for an educational and fun night. We will start with a basic overview of the wine making process and a simple framework for tasting any wine blind and evaluating its basic components. Based on this knowledge, you will learn to identify clues about the kind of grape the wine was made from, its region of origin, and its age. You will leave the course with a simplified overview of an overly complicated topic and the confidence to taste and describe at even the snobbiest of holiday shindigs.